This publication explores: a language for sustainability that inspires, not confuses; a Social and Wellbeing world view of our place on the planet, Living Buildings that are restorative and regenerative and an essential component of climate change solutions; a Regenerative Heritage that shares memories of place from the past and provides lessons for the future; and Regenerative Economic thinking that is shifting the built environment from linear economics to regenerative economies. To progress from the state of the art to a vision of Regenerative Sustainability, a number of triggers are identified: Rethinking EDUCATION to inspire the next generation; a re-connection with NATURE through Biophilic and Ecological Design; a sense of PLACE rooted in local, culturally rich and ecologically sound built environments and a CIRCULAR ECONOMY that moves us from limited growth to Regenerative Economies. The future starts now, a future that has to be more cohesive, fair and sustainable. To achieve this goal our human actions have to embrace a different vision, one in which our sustainable well-being emerges from our love for the planet. Our built environment collaborative working journey is now venturing into new territories. 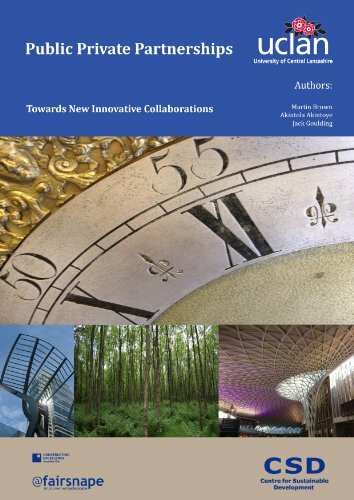 The future for a responsible built environment will increase both the pressure and opportunities beyond collaboration and partnerships to co-collaborate and co-create hybrid projects, moving to open innovations that in turn stimulate further opportunities. Such new and emerging agendas include social responsibility, managing increasingly scarce resources in purpose-driven circular economies, addressing restorative sustainability, adopting transparency and meeting the challenges of BIM and social media connectivity. Guest editorial providing a snapshot of social media (past, present and future), exploring why and how this ‘new’ collection of tools can be used to purposefully improve construction. Purpose – To introduce and define the concept of community-based facilities management (CbFM) and to identify and discuss processes and responsibilities in practice, in order to explore opportunities for the development of a socially inclusive approach to facilities management. The paper raises issues of governance, empowerment and socio-economic development.